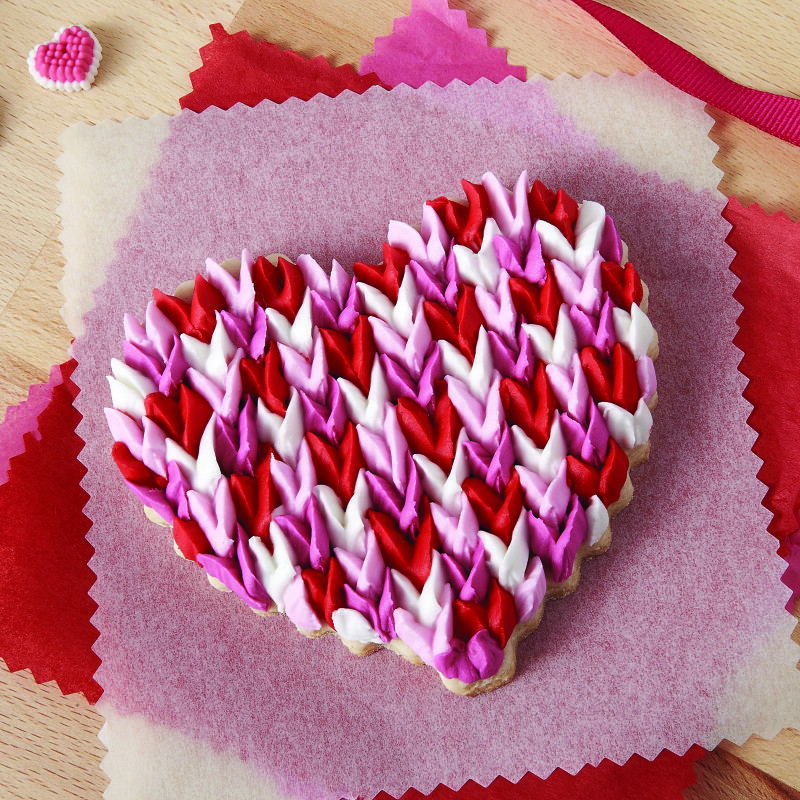 Treat family, friends, and co-workers to something they will all love this Valentine’s Day by making easy and impressive cookies. Start with your favorite roll-out cookie recipe or simply dress up store-bought ones by adding some simple details with icing. Prepare and roll out dough following recipe directions. 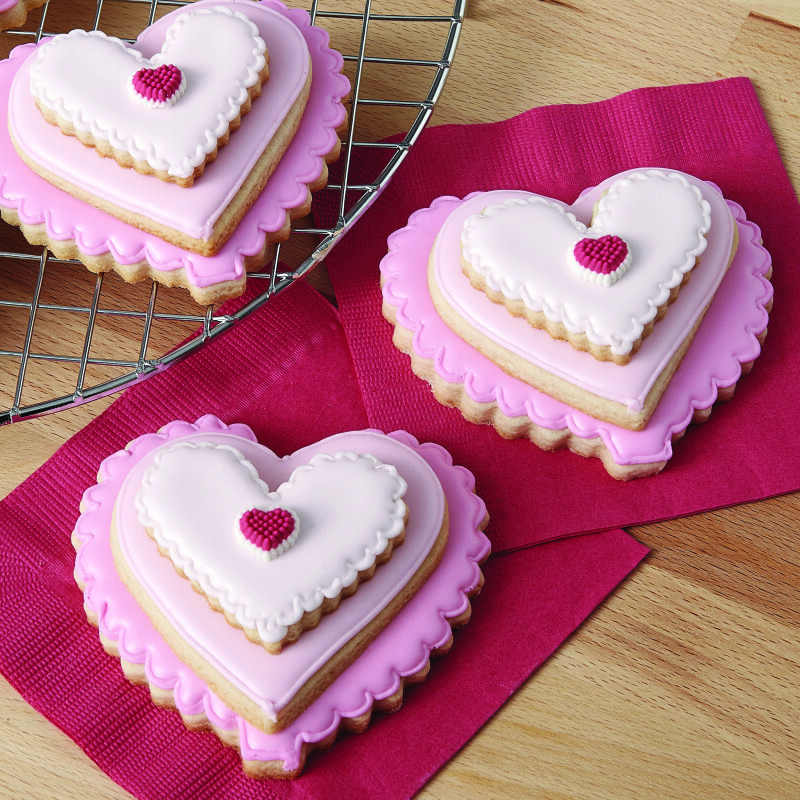 Use the largest cutter from the 4-piece heart nesting cookie cutter set to cut out the shape. Bake and cool cookies. Starting from top edge of heart, use tip 102 and icing in dark burgundy, light burgundy, red and white to pipe V-shaped groups of two petals, one piped from left and one from right, to create a row of petals in alternating colors. Repeat with the second row between petals in the first row. Continue to repeat the pattern until cookies are covered.